That’s what we’re often told when something we are anticipating takes time to materialize. If the saying is true, the Iowa Department of Transportation’s e-Construction process just broke the tape on its 26.219-mile journey to eliminate the need for paper documentation from initial design through construction of our roadways. Over the past few years, pieces of a paperless process have been added to the Iowa DOT’s standard procedures. Designing our transportation system electronically, providing specifications online, and conducting online project bidding have been used for several years. Over the last two years, documenting the actual construction process has been done electronically. The lone holdout in the electronic documentation stream was the contracts to hire contractors to construct our transportation system. It might not seem like a big deal to sign contracts electronically – but it is. The Iowa Legislature paved the way in 2004 by legalizing the process of signing legal documents online. Many of us have signed real estate deals or accomplished banking transactions on our phones or laptops using a digital signature. 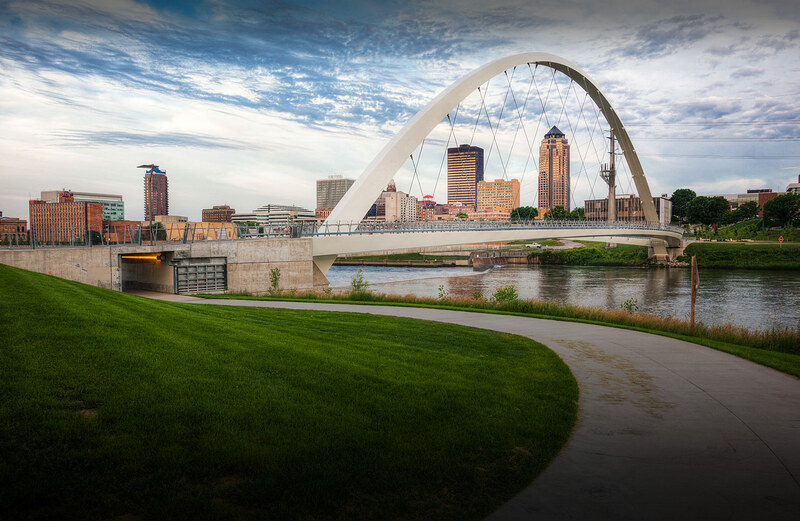 But there are many parts to a construction contract, making it difficult to incorporate a digital signature and the Iowa DOT was forging the way, as no other state has created a process to incorporate digital signatures into the contracting process. Musgrove credits part of the success of the new process to the contracting community the Iowa DOT works with. “We started doing pilot projects a few years ago and had great response from our contractors. They worked with us every step of the way to come up with a process that worked for everyone,” he said. Wes Musgrove, director of the Office of Contracts can now sign the documents online from any computer with web access.